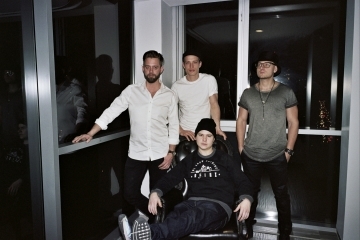 The world has a new pop sensation to look out for in the form of Lukas Graham. The Danish pop singer-songwriter and his band mix hip-hop with pop and fall somewhere in the middle with something soulful and cathartic. 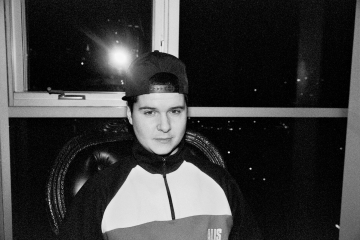 Born Lukas Graham Forchhammer, the 27-year-old has been making music since childhood. The Danish music scene isn’t quite as large as America, so Lukas Graham’s goal was to find success outside of Denmark. Throughout his self-titled debut album (out today), Lukas sings about the good and the bad that come from losing a parent—something that prevails as a powerful message throughout his music. With his emotional songwriting and captivating voice, we’re calling it now: Lukas Graham is set to run with Justin Bieber, Ed Sheeran and Selena Gomez. 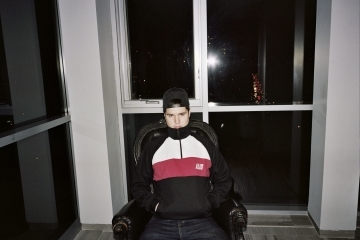 See below how the singer-songwriter plans to infiltrate the global pop scene. Well, I’ve been singing professionally since I was an eight-year-old in a boys’ choir. I started writing lyrics when I was 12. I started writing songs when I was 20. Then I realized I wanted it to be a live band. So, I started working on it wiht my main man Don Stefano, and we started writing songs together. How do you feel about the instant success you’ve had recently? I know you’ve been doing it for a long time, but your songs have reached number one around the world. Well, it’s weird—it’s an ambivalent feeling. All of these songs doing well outside of Scandinavia are rooted in my father’s death in some way. It’s a weird thing knowing that my death comes from a terrible experience and losing my father at a young age. At the same time, it feels amazing that I’ve been working towards this for so many years and now finally getting close to something you can feel being successful. I’ve been successful in Denmark, but it’s different having it be successful thorughout the world. I’m so sorry about your father’s passing. Did you father’s death directly make you want to become a musician? How did it play a part in your songwriting? I was already on my way to becoming a successful musician outside of my home territory when my father died, but he has definitely influenced me wanting to be a musician throughout my childhood and teenage years. He died in September 2012. I realized when my father passed away that you can’t let the outside world influence you in your dreams or on your journey. If you let something pivotal ruin your dreams and your learning curve, then you might as well not have ambitions to begin with. In terms of my songwriting changing, it became very dark for a while. It was a very cathartic period for me. I’ve written so many songs about my father not being here that I want to write about other things as well and also him not being here in a good way. Everyone has to die—that’s an unfortunate thing – but that’s life. We can’t dwell on the future, we have to be where we are now. Can you tell me about your debut album? What’s the story behind it? Our new album is a very emotional journey. It’s a song that’s very reflective of my life and my father’s passing. It’s about getting into the world, playing music for people and touching people with songs. You have sad, tearful songs like “What Happened To Perfect” and “You’re Not There.” Then you have more empowering songs like “7 Years” and “Happy Home.” Then we have songs like “Don’t You Worry ‘Bout Me” that talks about my father being dead, but does it in a humorous, positive fashion. I have a lot of people that think my life might be very hard because my father is dead, and that’s true, but so many people have it worse than me. Of course a lot of people have it easier than me too. I think a regular 9 to 5 job is probably a lot easier than what I have going on. When you experience several time zones over the course of three weeks, it’s definitely challenging. I would say genre-wise, I’m influenced a lot by rap and folk music in my songwriting and storytelling. As a band, we’ve got a couple of producers and songwriters that work with us, our biggest influence is probably 90s rap—specifically Dr. Dre’s 2001. But also, Otis Redding, James Brown, Sam Cooke, Amy Winehouse and Adele. We have an eclectic range of influences. What’s the biggest difference between the Danish and American music scenes? How do you think you can influence America with your music? Denmark doesn’t really have a music scene. Sweden has a big pop scene. America has Atlanta, New York, Los Angeles, etc. We very much saw ourselves being an American act from the get-go in a weird way. What we can bring to the table is real, relatable and hard-hitting lyrics on top of pop music. We do our best to keep it interesting and fun.